A party night with precious fabrics, versatile looks, refined silhouettes and touches of glamor: because when it comes to dressing, you need to pay attention to details and accessories. But without forgetting the label. For a New Year in the name of luxury. Let’s debunk a myth: it’s not just women who stand in front of the closet and shout “I have nothing to put on for my Vip New Year’s gala!”. The men of the new millennium have inherited a good part of the concerns about the style that seemed to be the exclusive prerogative of women and therefore the advice on how to dress in the New Year is good to give also to men because choosing the right look is a step not to be underestimated if you want fix the midnight kiss. Here are some tips for choosing yours : consider that the most formal cut is the single-breasted model, with a single front button and welt pockets, without back vents to make it more refined. 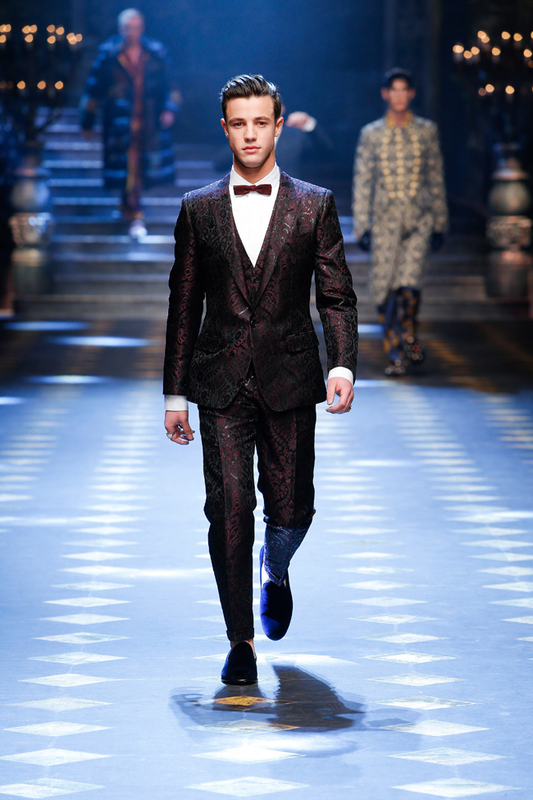 The iconic stretch is absolutely the lapels, which can be spear-shaped, more formal, or with a shawl. 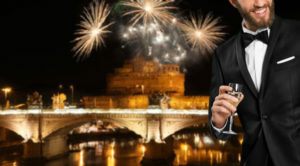 The colors suitable for New Year’s Eve are black – classic and reassuring – or the blue midnight – elegant and connoisseur. The ivory jackets are more appropriate for the summer months or throughout the year in warm climates. 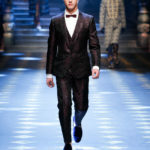 For the elegant man this is the year of the slim and tight tuxedo and regardless of who wear it, its classic line, noble details and sharp cut transcend years and age. 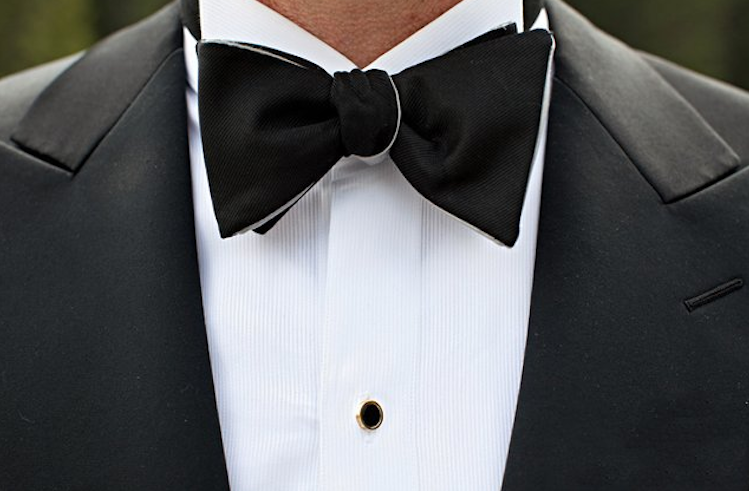 In general, even if you do not want to wear a jacket and a tie, it is best to opt for a white shirt to match a vintage bow tie or imaginative cufflinks. Remember, never wear trousers with cuffs or pences: the use of trousers without loops is a must, but they require the application of braces. 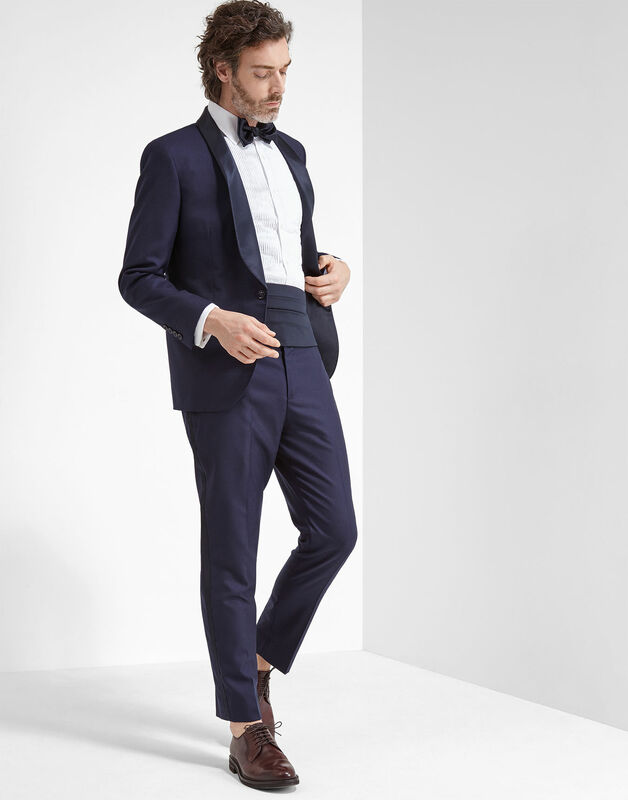 Finally, you can customize your tuxedo with satin or twill details like the iconic side band of the trousers. 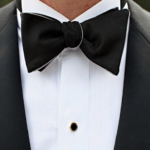 At the fateful New Year’s Eve no one forbids to wear the tuxedo, not to be confused with the authentic tuxedo jacket (The latter, in colored velvet and shawl collar, was worn by English gentlemen only to go to the smoking room, and then return to put the dinner jacket after finishing). The term “smoking” derives from the English (“smoking jacket”). Originally it was in fact a dressing gown that was worn by men in smoking rooms, with the aim of preserving the dress from the smell of tobacco and until 1880 the formal dress for the occasion was the tailcoat. 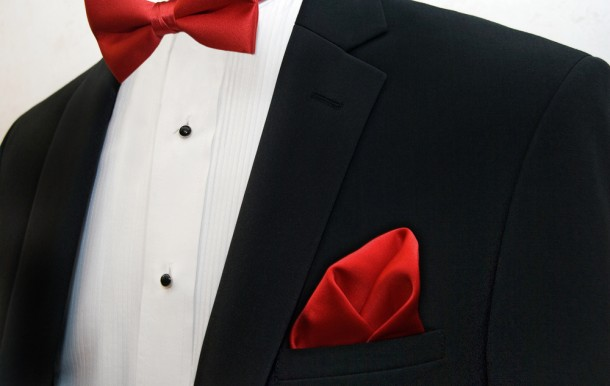 The story says that the tuxedo was born in London in the tailoring Henry Poole & Co, where Doce Savile Row decided to cut the tails of the tailcoat to offer a new product to the Prince of Wales. In 1886 the Jacket began to take hold in America by work of the dandy Griswold Lorillard, and thanks to which he is also known as tuxedo. 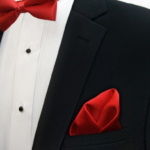 Today the tuxedo is considered a suit to wear on special occasions, it is in fact the passe-partout for gala dinners, black-tie events, casino evenings, and why not even for the New Year’s Eve party. The golden rule of the Smoking? Never wear it before 6 pm and only if the invitation requires it. It is precisely its refinement that makes it not suitable for all circumstances and especially at all hours of the day. If you do not know the Eternal City or if you want to rediscover it in a new, shining and luxury light, Christmas and New Year’s Eve is the ideal time to take full advantage of the wonders of this beautiful city. We at Roma Luxury assure every kind of comfort to our travelers. Site seeing, unique tours and emotional shopping. Our mission is to give the high-end tourist, the best time of their life in Rome by satisfy any luxury traveler needs and wants. We personally choose, based on high quality and service, all the offerings we propose to our clientele. Shopping like a Star… Treated as a VIP… Experience the real Italian Excellences! We think about you and your Holiday season trip to Rome. We created for you special and exclusive Holiday Season’s tours. Join us for a once in a lifetime experience. If you want to live a memorable experience click the links below. Created by Diletta Di Bernardini & F.D.Q.